Infuse 3.5 is now available, and features a few small additions to help spruce things up before the release of iOS 9 this fall. Most notable are new options for securing Infuse with a passcode and Touch ID, along with a number of under the hood improvements to keep things running smoothly. Infuse 3.3.1 is available today, and features full 64-bit support. 64-bit chips now power a fairly large chunk of the iOS lineup, and optimized apps can see performance gains of 20-40% when compared to apps built for 32-bit only. Naturally, a few other fixes and improvements have also been added. We're excited to announce the release of Infuse 3.1 which includes an all-new way to sync using trakt. Pro users can now sync watched history, and playback progress across multiple devices! Start watching a movie on your iPhone while riding home on the train, and pick up your iPad later at home to finish it. Infuse will automatically keep track of exactly where you left off. 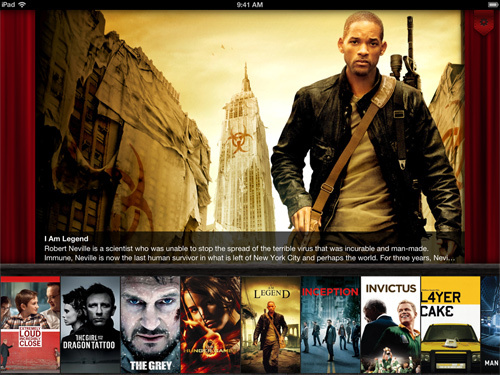 We are excited to introduce Infuse for iOS, the beautiful new way to enjoy your favorite videos on the go. Infuse bridges the gap between synced content and other media formats and adds in a powerful set of intuitively designed features that make watching videos more enjoyable than ever. 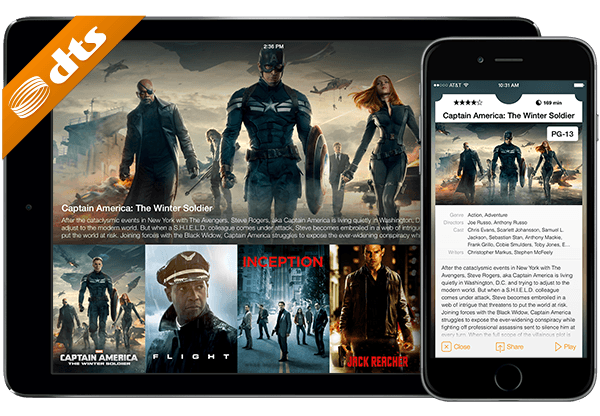 In addition to playing the content you already have on your iPhone or iPad, Infuse adds support for many other popular media formats such as AVI, MKV, WMV and many others. Now there’s no need to waste precious time converting your files just to play them. Happy New Year! To help start 2013 off on the right foot we've got a fresh new version of aTV Flash (black) for your enjoyment. In this new version we've worked to included a number of highly requested features as well as a slew of other improvements, fixes and all-around goodness. We're also working on some other really great things that will be available in the coming weeks/months, but for now a few highlights of what's included in the 2.1 update can be found below. Now it's easier than ever to pick up where you left off with your favorite show. After you decide which show to watch, simply hold the center button and choose the playlist option. That's it! You'll be taken to the first unwatched episode, and will continue playing until your run out of shows or your eyes turn into puffy white marshmallows, whichever comes first. 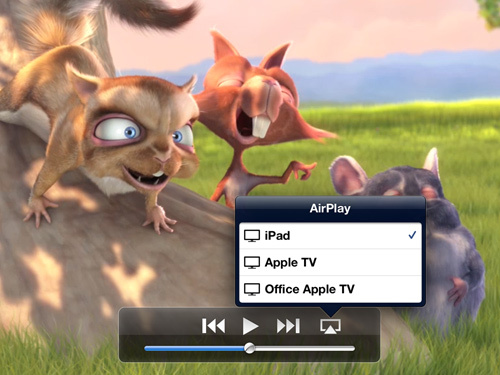 We are pleased to announce the release aTV Flash (black) 2.0 for the 2nd generation Apple TV. Version 2.0 goes beyond just watching videos, and adds in a ton of new features that make browsing and watching media on the Apple TV more enjoyable than ever. 2.0 is a free update for all current aTV Flash (black) users, so keep reading for more details on everything that's new. The new Library View will now index all your media (even if stored on multiple devices) and automatically organize movies, TV shows and music into easy to use categories such as: genre, release date, star rating, age rating and others. TV shows will also be group by series/season automatically so there's no more worrying about keeping your folders perfectly organized. While we think this is a great new way to browse and enjoy your media, the original file/folder based browsing will remain intact and working as an alternative option. You may have noticed, but we try hard to keep making aTV Flash (black) better and better through regular software updates. Our update cycle philosophy has always been to provide frequent, steady improvements, and to resolve as many issues as we can get our hands on. Today we are happy to release aTV Flash (black) 1.7 which, among other things, features seamless access to trakt.tv. trakt.tv is a free service that automatically tracks the movies and TV shows you watch, and provides recommendations for related content you may find interesting.